Welcome to the International Spirits Quality Testing ISCRO 2017! 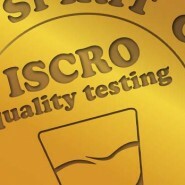 ISCRO 2017 is the biggest international spirits quality testing in Croatia organised for the third time by the Croatian Association of Drink Producers. The competition will take place in October 2017 in Zagreb. Experienced panel of spirits professionals will perform blind evaluation of spirts. Evaluated spirits will be grouped in several categories . Evaluation will be perfomed according to the OIV criteria and 100 points method. You are invited to participate at this competion. To take part you need to send your spirit samples till October 26th 2017.